The Mommy Project | Ep. 48 Choose Love and a Good Cup of Coffee with LaTonya Lewis. Ep. 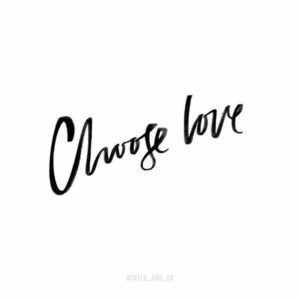 48 Choose Love and a Good Cup of Coffee with LaTonya Lewis. Our Website is: themommypro.com …. not what I said at the end of this episode…. Just needed to get that out of the way before I forget. This Episode is About Choosing to Love and How there is nothing wrong with good cup of Coffee. LaTonya Lewis is a mom of 5 adult children and several grandchildren. She knows how each person is uniquely different and requires a different skill set when it comes to parenting. What encouraging words would you say to your 30 year old self raising little ones? Don’t be so uptight! It’s okay to make mistakes, as long as you are learning from them, repenting of them, and turning away from repeating them. It’s good to as our children for forgiveness when we mess up with them. It gives them an opportunity to offer forgiveness to others, something we could all use a little more practice with I think! Not only that but it is freeing for us as parents, and children are so quick to forgive! Matthew 18:3 Jesus tells us a truth: “unless you turn from your sins and become like little children, you will never get into the Kingdom of Heaven. So anyone who becomes as humble as this little child is the greatest in the Kingdom of Heaven.” I think the Father gives us children, not solely for the purpose of raising a godly seed like it says in Malachi 2:15, but to also show us the condition of our heart, that we are a soul in need of a Saviour. What do you think is one of the biggest struggles women face today? As mothers, as wives? As Believers? We are bombarded with technology and the “you need this” to make your life better, where in all reality, what matters for eternity is “Christ in us, the hope of Glory” and I dont think that this Hope of Glory was so weighted down with the things we allow ourselves to be dragged down by. Hebrews 12:1-2 tells us to strip off the things that slow us down, especially the sin that easily trips us up. We can get so easily swayed from his plan when we take our focus away from Him and place our focus on others. His plan for young moms is to teach and instruct our children in the love and fear of the Lord. This is a daily job, that sometimes we would like to put on hold, but we cannot afford to lay aside our responsibilities and trade them off for the things the world quickly tells us we deserve! We must stay focused on our task at hand! If we allow our eyes to be pulled to the left or the right, we can easily be lead down the road of envy, which will spill over to our husbands and our children, and before we know it, we have a home with so much disorder. That’s when it’s time to sit back and take a look at our hearts and refocus our eyes. Proverbs tells us that a tranquil heart gives life to flesh, but envy makes the bones rot. I love having a tranquil heart, because it makes for a very peaceful home! What advice did your mom/dad (or grandparent) give you that you will always remember? My parents taught me a very simple truth: To Obey is better than sacrifice! Doesn’t matter what it looks like, it’s always obedience to the Holy Spirit. When it comes to Passing on the Faith- who taught you or mentored you when you were “in the trenches” with littles? My Parents were our biggest cheerleaders! They would encourage us to stay the course with the kids, to not give in lest we lose ground. Apart from them, I would have to say that my husband was my greatest mentor when I was in the trenches. We were in the mountains of Guatemala our first 19 years. The Lord was very gracious to us when it came to family. We both had a heart to do life with our family the way He wanted us to be, this called for many hours of falling on our faces before the Lord, searching out His word, not just one time, but on a continual basis. Who else can we turn to, He has the words of Life, He has given them to us. It is up to us to dive into this living water that brings life to our very souls. How did you and your husband Pass on the Faith to your children? I think it is vital that we share our God moments with our children and grandchildren. Tell them of the great things he has done in our lives. Deuteronomy 6 tells us to repeat his commands over and over again to our children, and I think that the things he does for us on a daily basis need to be told again and again to our children. I actually cheated a little with this answer. I texted on our family group text and had our children give me some of their thoughts as to how Michael and I passed on and continue to pass on our faith to them. Story telling. There is always the story of you standing in the closet saying to God “papa needs new clothes”. And a thousand other stories like that. Papa always reminds us that he hears from God and so therefore his is doing X,Y, &Z.
Ya’ll were intentional to wake up early before school and sit with us to read the Bible and then teach us about what we were reading. You disciplined & trained us and taught us the importance of why you did what you did so that learned to love when God disciplines and trains us. You always trusted and made sure to point out His provision for our family. And Ya’ll did it in such a way that trusting God to provide for our needs is like second nature. We just KNOW He will. You taught us an unshakable faith that no matter what, GOD IS. Because of that I have been able to walk through one of my darkest nights. You are real, no matter what, if it’s just us or if people are in our home. That family is very important. The way you treat each member with respect, even when we don’t deserve it. What are some Practical steps and recommendations of what worked and what did not. Cramming it down their throats never works. Praying for their hearts and laying them before the Father always does!!! I cannot stress enough how vital it is to tell them your God stories! If you had to pare down your “Family Rules” down to 1-2 rules you want to instill in your children- what would they be? What activities or ways do you teach/model this to your children? God expects our best, whatever that looks like. We constantly refer to those 2 things with every decision, every friendship, every job offer, every invitation, and it doesn’t matter is we are at work, school or play…..God expects our best! Does this mean we are perfect? Absolutely NOT!!! But this is one of the stones laid in our family foundation, and when we do mess up, We repent, dust off our knees and keep running toward the goal!!!! What does/did a “bad day” or crazy moment with your kid (s) look like? What are some ways you to bounce back from tough moments, or aggravating days? Usually a bad day when they were young would be either because I was struggling with something and my attitudes just trickled down to them, or they were trying my patience, which resulted in a lack of my training them when they were younger. Now, as they grew and began to develop friendships and hormones, this was a totally different ball game! My bad days were usually me being sad because they were walking and growing through a hard time in school with friends or with a family member (which very well could be either their father or myself). I have always carried their grief within myself and have laid them out before the Lord. Nothing in us is good, so we must totally rely on Him to handle these relationships. We must also remember that what things seem to menial or meaningless to us as adults, may very well be mountains to their little eyes and hearts. How do/did you build relationships with your children at different stages? I’ll tell you what really helped us, was reading Gary Chapman’s book on the Five love Languages. This was very eye opening for both Michael and me and helped us to focus on the different needs of each of our children. On the other hand, we have always had what we called “family time” and that could be sitting and reading a story, watching a movie, playing a game inside, playing a game outside, visiting grandparents with purpose, or just listening to each one tell us about their day. But I think that knowing each of their strengths and giving to each one as you see they need it, really helps to keep balance in the home as far as your relationship with them. Now that they are older, it may be just to drop over for a cup of coffee, or invite them over for a cup! Or it could be a thoughtful text, a word of encouragement, sitting and watching a christmas movie in the middle of July, keeping the grandkids, an unexpected hug (if you know me you know that the last love language on my list is touch, and I think it is at 0). I’m not saying that we are perfect at any of this, we are walking through this journey we call life learning just like every other human on this earth! And a sure journey it has been!!!! What is something you specifically pray for your children/ grandchildren? What do you love most about being Mom? I specifically pray that our children and grandchildren would fear the Lord and depart from evil. That they would run fast and furious after the Lord!! What I love most about being a mom is the fact that Michael Lewis is their Father, and we get to share and do life together with our crazy family!!! What is One thing you do exceptionally well as a mother? And yes- Everyone has Something! I think mine would be that I am constantly aware of the emotional and mental state of our children, which helps my husband, because I help to keep him aware of it. That way we are all on the same page, most of the time! What are you learning in this season of life? Just that: That life is full of seasons, and seasons change, and so must I! If we don’t change with the seasons, we will most likely not be liked by our very own! I want to be the one to embrace the changes that come my way, live life to the fullest, and love our children through their ups and downs! Cause we all know that life is full of them!!! Thank the Lord He is our steady constant!! What do you love most about this season of life? I love seeing our children and spread their wings to do the things the Lord puts before them!! Whether that is raising children, going to a foreign land to minister, studying in Bible college, enrolling in Seminary, serving at their home church, starting a new church, finishing High School……….wherever each one finds themselves, watching them run hard after Christ fills me to no end!